The City of Greater Geraldton wishes to advise local residents that they may hear a series of loud noises and flares released on Monday 19 November, as part of the HMAS Sydney II Commemoration Service. At approximately 7pm, a large blank cannon shot will be fired as well as a display of multiple flares off the coast as part of the ceremony, kindly donated by the Geraldton Volunteer Marine Rescue and West Coast Fireworks. The City also wishes to remind guests that there is a free shuttle bus service leaving from the QEII Seniors and Community Centre to the Memorial from 4.15pm and returning to the Centre after the service. The service will commence at 5pm at the HMAS Sydney II Memorial on Gummer Avenue. Today, Geraldton is taking its first collective step towards a future where family violence is no more, where all people in our community are safe, and where regional respect is the norm. This step is the introduction of the Community, Respect, & Equality (CRE) Agreement, a collaborative agreement signed by businesses and organisations in Geraldton that says #ViolenceIsNEVEROk. Family violence is a big problem in Geraldton. Last year the Midwest-Gascoyne Police attended 2819 family violence incidents, a staggering number averaging more than 50 family violence incidents per week. Obviously, this is too many and cause for alarm. The CRE Agreement is a primary prevention initiative that aims to stop family violence before it starts by challenging the social norms that condone violence in our community. Organisations and businesses in Geraldton can sign the Agreement to say that they, as an organisation, say no to family violence and the norms that cause it. By signing up, organisations are agreeing to support five agreed values: community collaboration; respect and cultural diversity; equality; safety; and social justice. Once organisations sign up they will be given family violence informational materials which highlight how organisations and businesses can increase awareness of family violence in their workplaces. Professor Sandra Thompson, the Director of the Western Australian Centre for Rural Health (WACRH) and member of the CRE Reference Group that ratified the Agreement, described the Agreement as an alternative to the current “band aid” style of response to family violence. “Rather than continually putting band aids on things, the idea is to have some collective action around changing the conversations, to say that ‘this is not okay’ and that we need to work together for a safer and more caring community,” said Professor Thompson. According to Richard Malacari, the Regional Manager, Midwest and Gascoyne, Department of Local Government, Sport and Cultural Industries who has been involved with the development of the CRE Agreement, the Agreement will give organisations and businesses the resources and skills to work towards gender equality and to support staff who experience family violence. “The CRE agreement will allow workplaces to make a real difference in reducing family violence. Knowing that our words and attitudes make a real impact on violence in our community, it is crucial that we build positive workplace cultures that support respect and equality”, he said. “Sadly, the need for primary prevention is evident in much our work, where we see the harms to people exposed to family violence, particularly when it is severe and protracted. WACRH staff share a common vision of a world where every child, woman and man can fulfil their potential - and this depends upon them feeling safe, valued and having opportunities. This has to start in our homes and local community.” Professor Sandra Thompson, the Director of the Western Australian Centre for Rural Health (WACRH) and member of the CRE Reference Group. City of Greater Geraldton Mayor Shane Van Styn (from left) Seven West Media Midwest Regional Manager Jason McCarthy and City CEO Ross McKim seal the renewed deal for RedFM to sponsor the 2019 WoW Festival Concert. The Wind on Water Festival 2019 is well on its way to being another smashing success following the signing of an Everlasting Partnership agreement with Seven West Media - RedFM to sponsor the concert component. City of Greater Geraldton Mayor Shane Van Styn was very pleased to see RedFM return as the WoW Fest concert sponsor. “Thanks to RedFM’s generous support WoW Festival goers were able to rock out with The Veronicas and San Cisco at the first Wow Fest held in April this year,” he said. “With negotiations underway to secure the headline and support acts for the 2019 event, the signing of an Everlasting Partnership with RedFM to present the concert couldn’t have been better timed. Seven West Media’s Midwest Regional Manager Jason McCarthy said the WoW Fest sponsorship is a good fit for RedFM. “We were very proud to be part of the first WoW Fest and in particular the concert which is why we jumped at the opportunity to sponsor the event a second time as we know how much the community loves live music,” he said. In April 2018, more than 10,000 people from all over the state flocked to the Geraldton Foreshore to take part in the inaugural two-day festival. The 2019 event will take place on 20 and 21 April 2019. The event was born from two of Geraldton’s natural elements – wind and water, both of which play a key part in the City’s lifestyle and were chosen as the theme for the Festival. National Recycling Week starts today, and Federal Member for Durack and Minister for the Environment Melissa Price urges everyone to do their bit to reduce the massive amount of waste generated across the Durack electorate – and the nation. “We all have a role to play in reducing the almost 67 million tonnes of waste we generate each year, and be conscious of ways we can increase recycling and save the environment,” she said. “That’s why the Federal Government has committed to updating the National Waste Policy and setting a clear vision for our recycling industry. “We have delivered a National Food Waste Strategy to bring together actions by governments, researchers, business and the community to halve food waste by 2030,” said the Minister. In addition, the Government has provided nearly $50 million to support research and action to meet this goal. “Recently, I launched the industry-developed Australasian Recycling Label,” the Minister said. “This is a simple labelling system that gives people the information they need to recycle when it matters most – the few seconds when they’re deciding which recycling bin or collection point to use. You can find Minister Price’s Facebook page by going to MelissaPriceDurack. Member for Durack and Minister for the Environment Melissa Price said she is excited that today funding has been announced for the expansion of the Geraldton Universities Centre and the establishment of the Pilbara Universities Centre in the Pilbara. “The Geraldton Universities Centre has been operating since 2010 as an incorporated body and funding of $1,829,400 has been allocated to expand the centre,” Minister Price said. “The Pilbara Universities Centre in Karratha and Port Hedland (initially) is new and will be revolutionary for the region and the State; and I’m excited that $3 million in funding has been approved to establish this tertiary education centre. “I am so excited that both the Mid West and Pilbara will now have nationally recognised and accredited university centres,” Ms Price said. “I have long been an advocate for preventing the ‘brain drain’ that occurs in regional areas when students leave to study and possibly never return. “It has always been a priority of mine and I have pushed hard for the Federal Government to support existing and new regional university centres. The approval of the centre in the Pilbara means that students no longer have to leave home to study on campus at a university. “The Geraldton Universities Centre was ground-breaking as an education model and I am thrilled this has been recognised and replicated not only in the Pilbara but across Australia,” the Minister said. The Regional Study Hubs at both Geraldton and Karratha/Port Hedland will provide infrastructure such as study spaces, video conferencing, computing facilities and internet access, as well as academic support for students studying via distance at partner universities. The Federal Government’s total additional new funding for regional higher education is now $400 million over five years. The City of Greater Geraldton wishes to advise that the wildlife control program has recommenced in order to relocate an influx of corellas in the Geraldton area. Members of the community are requested to exercise caution and if any loud noises are heard, to not be alarmed. The City apologises for any inconvenience. If you have any queries please contact the City on (08) 9956 6600 or email council@cgg.wa.gov.au. 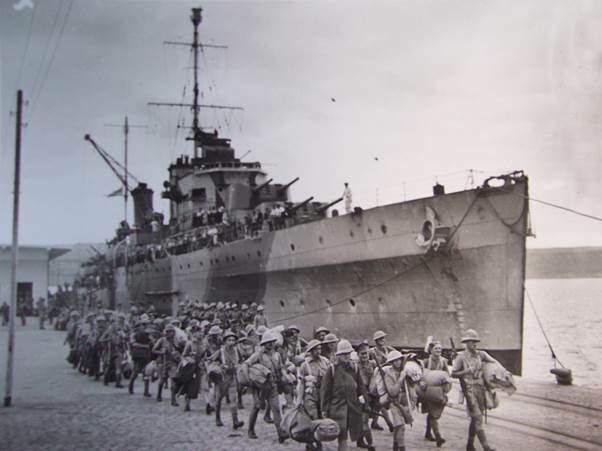 This year will mark 77 years since the sinking of the HMAS Sydney II. This year will mark 77 years since the sinking of the HMAS Sydney II and the legacy of Australia’s greatest naval tragedy will be remembered with a commemorative service. The annual ceremony held on Monday 19 November will pay homage to 645 crew members who lost their lives at sea after the ship sunk off the Geraldton coast in 1941. City of Greater Geraldton Mayor Shane Van Styn said hundreds flock to the ceremony every year to honour the significant tragedy. “The battle of the HMAS Sydney II and the German ship the HSK Kormoran is a significant part of Geraldton’s history and our nation’s history,” he said. LCDR, RANR Desmond Woods will deliver the main address on behalf of the Royal Australian Navy and guest speakers will include Memorial artists, Joan and Charlie Smith. The commemorative service will be held at the HMAS Sydney II Memorial on Gummer Avenue on Monday 19 November at 5pm. To ensure a quiet and reflective HMAS Sydney II Memorial Service, Gummer Avenue carpark will be closed to traffic from 3pm to 8pm. The City encourages residents to park at the QEII Seniors and Community Centre as there will be a free shuttle bus service. The service will take passengers from the QEII Seniors and Community Centre to the Memorial from 4.15pm and return to the Centre after the service. For more information regarding the service, contact the City on 9956 6600. Hurry into Specsavers! 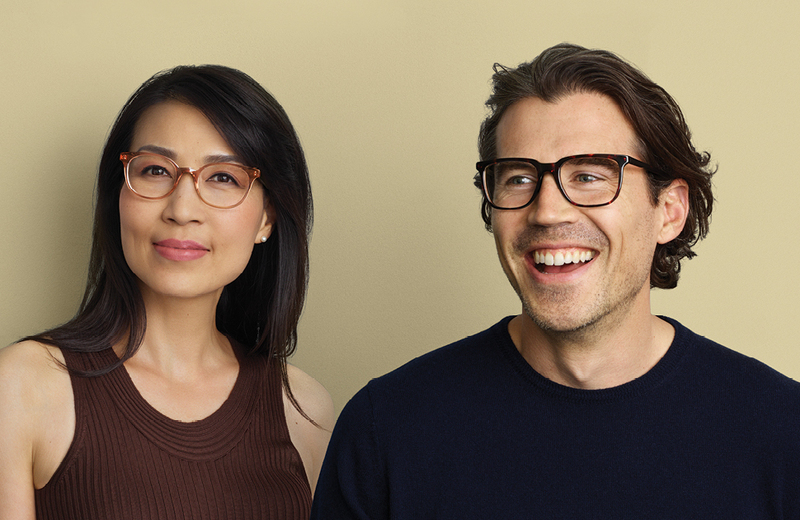 Get standard multifocal lenses FREE when you choose a style from our $149 range or above. That’s a saving of $150! Offer ends 14th December, T&C’s apply. Strathalbyn Christian College has a long tradition of producing excellent musicals such as 'The Sound of Music', 'Fiddler on the Roof', the 'Mikado' and ‘Pirates of Penzance’. To expand on our music and drama tradition, Strathalbyn Christian College will be providing an amazing new course for 2019, with the introduction of Certificate II/III in Music Industry. The Certificate Courses in Music Industry allows students in Years 9 and 10 the opportunity to learn more than just music theory. This course prepares students for work and life as a musician or producer in the contemporary music industry. Strathalbyn Christian College is now offering a new pathway which will provide students with the opportunity to learn how to set, record and mix multi-track productions, refine performance skills as a musician, create music loops and beats, set up for live performances and so much more. 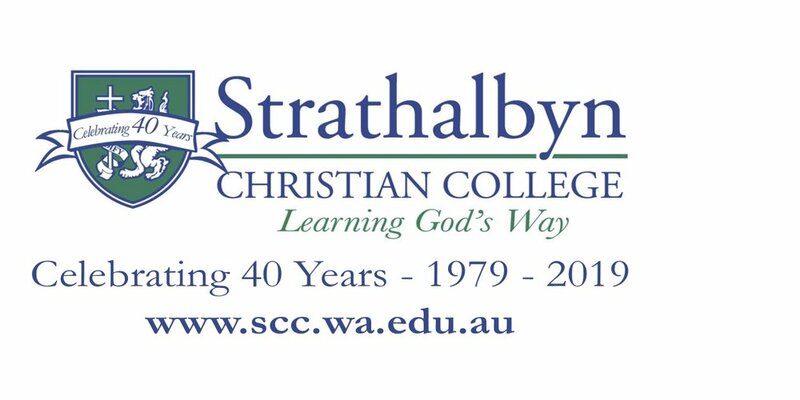 If you are interested in a career in the Music Industry, Strathalbyn Christian College has positions available in Secondary School for the Certificate II in Music Industry. 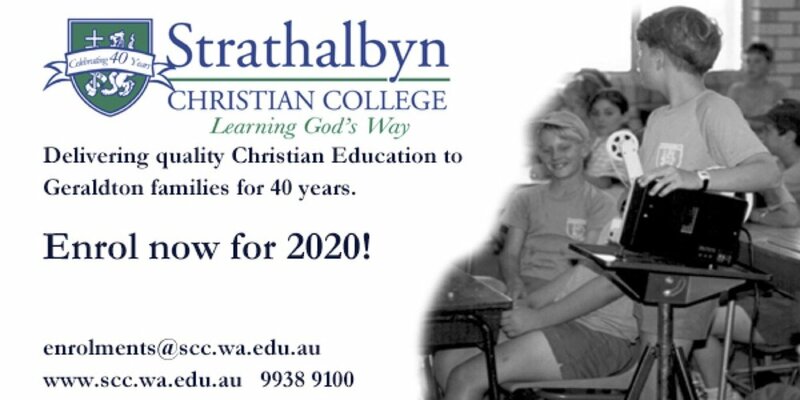 Strathalbyn Christian College has a long tradition of being a small Christian school and we like it that way. Our students enjoy smaller class sizes, the close-knit community and the way we care for their educational needs. However, being a smaller secondary school means that we are not always able to offer a large subject selection. Therefore, we are excited to announce that we have partnered with SwanOnline to provide a broader range of subjects from 2019. SwanOnline offers a range of ATAR and General subjects in an online learning platform that fits perfectly with Strathalbyn Christian College’s other courses. Each online course chosen by students will be timetabled into their schedule. They will be provided with a Teacher Mentor at school who will provide support to the student and their parents. The flexibility of online learning creates the opportunity for students to take responsibility for their own learning journey. We have had several students opt for Online courses in the past who have done extremely well. Many Universities now offer online study options and self-directed learning is the future for tertiary education. 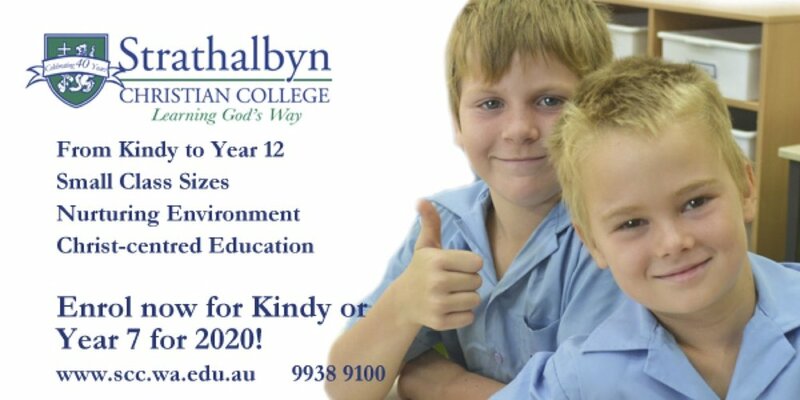 Strathalbyn Christian College is leading the way in Geraldton, offering online study options which will help students be better prepared for tertiary study after they leave school. We will be holding The Big Pram Walk, an annual awareness raising event for perinatal depression and anxiety. The event will be held on Thursday 15th November commencing at 9:30am at Stow Gardens (lawn area near the Geraldton Multipurpose Centre). The Big Pram Walk begins at 9:30am and will be followed by morning tea and children’s activities until 11:00am. Everyone is welcome, just show up with your family, friends and pram. 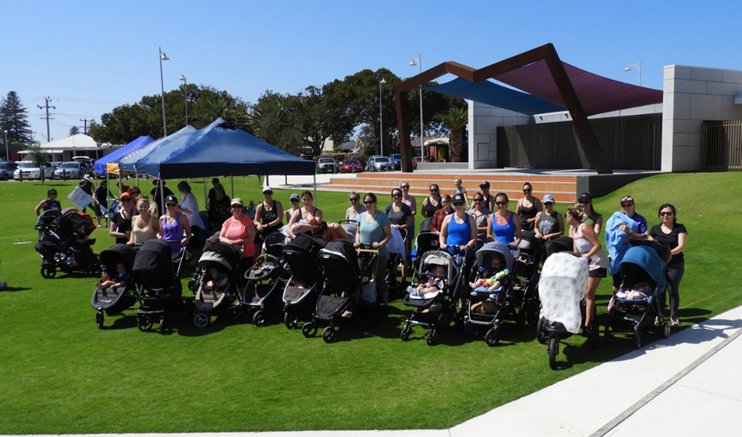 The Big Pram Walk coincides with Perinatal Depression and Anxiety Awareness Week 11-17 November 2018, an awareness week that raises awareness about perinatal depression and anxiety, including what signs to look for and where to seek support. This year the theme is “I wish I knew”, because many expecting parents are surprised by how challenging becoming a parent can be. Sarah, co-ordinator of the event is encouraging everyone to attend. “We want mums, dads, grandparents and children to come along and walk with us”, she said. “It is a good opportunity to meet other mums who may be struggling with perinatal depression and anxiety and learn that you aren’t alone if you are feeling like you are struggling”, she continued. Other attending agencies at this event include Child and Parent Centre Rangeway, Goodstart Wonthella, Ready Set Grow Bluff Point and Faerie Jo from Face Painting Magic. For further information on perinatal depression and anxiety go to website https://www.panda.org.au/, or if you need help and support contact our women’s health nurse at Desert Blue Connect on 9964 2742. Desert Blue Connect provide a range of free or low cost services that include women’s health, rural support services, men’s services, family violence response, primary prevention and crisis accommodation for women and children. The women’s health program at Desert Blue Connect offers a range of health and wellbeing services that are provided free to women. They include pregnancy tests, STI testing, continence information, relationship/sexual health advice, contraception and mental health support (including perinatal). For an appointment at Desert Blue Connect, call 9964 2742 or drop into the office at 25 Chapman Road in Geraldton. Central Regional TAFE is set to compete at the Australian Training Awards in Sydney this November after winning at this year’s WA Training Awards. Central Regional TAFE won the WA Industry Collaboration Award 2018 at the WA Training Awards in September for its Integrating Training and Biodiversity Conservation project run through the Batavia Coast Maritime Institute (BCMI). The project saw a collaboration formed between Central Regional TAFE, Northern Agricultural Catchments Council, Department of Biodiversity, Conservation & Attractions, Department of Primary Industries and Regional Development, Department of Water and Environmental Regulation, City of Greater Geraldton and the WA Museum. Central Regional TAFE Portfolio Manager Dr Suresh Job said the multi-faceted nature of local environmental issues make them very difficult for any, one stakeholder to manage on their own. “We saw a clear need for greater collaboration between stakeholders to increase organisational and community capacity to deal with environmental challenges,” Dr Job explained. Work carried out at the Abrolhos Islands included installing erosion control matting, mangrove mapping and seedling germination, revegetation, weed removal, marine debris removal, mouse eradication program, and seabird and habitat monitoring. Central Regional TAFE Abrolhos Project Manager Maryke Gray said the project was successful due to the outstanding collaboration between project partners and stakeholders. “This project was a great opportunity for students to receive the theory in the classroom and then step out and receive real life practical experience. They also had many opportunities to network with project partners and those in the industry” she said. Central Regional TAFE Managing Director Bill Swetman said the award was a great outcome for all those involved in the collaboration that proved to be very beneficial for students. “We saw significant improvements in student outcomes throughout the duration of the project. For example the number of students who successfully completed their Certificate III in Conservation and Land Management increased by 33% between 2014 and 2016,” Mr Swetman said. Mr Swetman said other positives had resulted from the collaboration. “As a consequence of these partnership we have developed new training programs that ensure that students have clear pathways from lower level qualifications into higher level qualifications, and then on to employment,” he explained. BCMI student Kevin Tobler, who took part in the project as part of his studies, agrees that the partnership were very beneficial. “During my involvement in the projects and thanks to the BCMI I have been able to build contacts with many different people from all walks of life. From volunteers that joined us to leading experts in their field,” Mr Tobler explained. Corin Desmond, another BCMI student, said the project had opened up many pathways for him. “The collaboration has been so wonderful for me and without it I would not be in the position I am now. My studies have advanced to a university level,” Mr Desmond said. Dr Suresh Job said the collaboration was also extremely beneficial for disadvantaged groups within the community. “We worked together with the Department of Justice to provide on-ground CALM training for inmates who are allowed out of Prison during the day with a warden,” Dr Job said. Richard McLellan, who was the CEO of NACC during the time of the project, said these types of collaborations were beneficial on a number of levels. “By working together we are able to effectively prioritise and efficiently use resources to protect the biodiversity in our operational area. The partnership approach between CRTAFE and NACC gives the best chance to achieve positive results for the conservation of threatened species and NRM in the Mid-West region,” Mr McLellan said. Regional Manager of the Department of Primary Industries and Regional Development Ron Shepherd agreed on the benefits of a collaborative approach. “As the land manager of the Abrolhos Islands, I have been impressed by the collaborative approach taken by the staff at Central Regional TAFE’s BCMI,” Mr Shepherd said. Central Regional TAFE Managing Director Bill Swetman congratulated all those involved Integrating Training and Biodiversity Conservation collaboration and acknowledged other students who had made it to the finals of the WA Training Awards. “I would like to sincerely congratulate students Isabelle Croswell who was a finalist in the WA Apprentice of the Year category and Jazmin Hahn a WA School-Based Apprentice of the Year finalist. The college is very proud of your efforts,” Mr Swetman said. Central Regional TAFE Midwest and Gascoyne have celebrated their top Vocational Education and Training Delivered to Secondary Students (VETDSS) at a recent award ceremony. Central Regional TAFE’s VETDSS pathways are the perfect introduction into the world of work. Year 11 and 12 students learn practical skills whilst gaining an insight into the needs of the workplace. Success in the program can lead to employment or give students a head start in other nationally recognised qualifications or create pathways into higher education and university studies. The CRTAFE Vocational Education and Training Delivered to Secondary Students Awards recognise excellence in students undertaking Vocational Education and Training programs in schools. They also acknowledge the partnerships between CRTAFE and local businesses who continue to support students in hosting valuable work placement opportunities. Students were urged to apply or were nominated by a member of their school staff, a parent or guardian, student or an employee involved in the program for one of the seven awards on offer. The VETDSS Employer Awards that recognise the support of business and industry with the VETDSS program were also presented on the night. Central Regional TAFE Managing Director Bill Swetman said that since its inception in 1997, the VET Delivered to Secondary Students program had been in high demand. “It has grown to become a significant and well subscribed pathway for secondary students; particularly since the changes to the school preparation age,” Mr Swetman said. Mr Swetman said a program such as VETDSS was beneficial for a number of reasons. “The students have the opportunity, if they are involved in work placement, to experience the world of work. This means they are able to apply and practice industry skills in a real workplace and see if that industry is really what they want to do,” Mr Swetman said. Mr Swetman congratulated all students on their decision to be involved in the VETDSS program, as well as the outstanding award winners. Nagle Catholic College student Jaide Morgan is a worthy winner of the Aboriginal Vocational Education and Training Student Award. Jaide has spent the last two years completing a Certificate II in Retail Cosmetics and during that time, has excelled in all tasks presented to her. Our 2018 Education Support Student award winner is Isabella Bellottie. Coming to us from Nagle Catholic College, Isabella is working towards a Certificate II in Animal Studies. Isabella has impressed her lecturers with her positive attitude and willingness to give things a try. Geraldton Senior College and Certificate II in Electro-technology student Mitchell Will is our 2018 Trade Based Student Award winner. During his time with Central Regional TAFE Mitchell has proven himself to be a reliable, highly motivated student who is committed to making sure he is ready for the transition from school to employment. According to his lecturer 2018 Employment Based Training Student Award winner Jai Lawer has displayed a high level of commitment and aptitude since beginning his training. The School Based Plumbing apprenticeship student from Carnarvon Community College impressed his lecturer with his excellent skills and comprehensive knowledge of the plumbing industry. Geraldton Senior College student Madison Long is this year’s winner of the Certificate II Studies Student Award. Madison has spent the last two years completing a Certificate II in Community Services and in that time has proven herself to be a motivated and hardworking student. Certificate IV Preparation for Nursing student from Nagle Catholic College Sarah Symth was nominated for this award by her lecturer because of the extraordinary commitment she demonstrated throughout her course. The 2018 Mid-west & Gascoyne VETDSS Student of the Year from Nagle Catholic College is Sarah Symth. Certificate IV Preparation for Nursing student Sarah impressed her lecturer with her hard work and dedication to her course. Sarah always delivered her assignments on time and worked to the absolute best of her ability. Sarah was a conscientious student, willing to assist her fellow classmates and lead by example. She was an enthusiastic, diligent and hardworking student, who always strived to do her best. Sarah has applied to study a Bachelor of Nursing through the Geraldton University Centre next year, which further demonstrates her commitment and dedication to her chosen career pathway. Congratulations to Place Road Pets and Aquarium Centre. Place Road Pets has graciously accepted our Animal Care students into their workplace for the past five years. The practical on the job training provided at Place Road value adds to the skills and knowledge gained at TAFE and provide the student with the scope and confidence to decide if this is the career they want to purse. The hands-on experience of caring for, cleaning and monitoring the animals, as well as learning how to handle, restrain and medicate them has been invaluable to our students. Place Road Pets and Aquarium Centre has worked closely with CRTAFE to accommodate our class times and work into our schedules. Congratulations to S&K Electrical Contracting who have provided many years of support to our work place program in electrical. S&K Electrical Contracting will host multiple preapprentices simultaneously and have been known to host students at very short notice. S&K Electrical Contracting provide a high-quality experience to our students, which on multiple occasions has led to employment for a student on completion of their training. Congratulations to GG Pumps and Electrical who have actively supported Central Regional TAFE by accommodating electrical pre-apprentices. The GG Pumps and Electrical team are helpful and welcome our students in a positive and supportive environment. The company has contributed to our VETDSS program through the donation of motors and pumps that are currently used by our Certificate II and III Electrotechnology students. They provide our students with invaluable hands-on experience. Come and visit Geraldton Grammar School and see what we have to offer your little one. For an enrolment application or to organise a personalised tour of the school with the Principal call us on 9965 7800 or email ggs@gegs.wa.edu.au. Take in the view and take out the glare this summer at Specsavers with FREE polarised lenses in your 2nd pair. See in store for more details, T&C’s apply. With stunning beaches famed for their surf breaks, ancient temples, and paddy fields, Canggu is one such town in Bali that warrants attention from every traveller visiting the ‘island of the gods’. Unlike other towns in Bali, Canggu is a sleepy village before it is a home to many expatriates who chose to settled down in the middle of sprawling green fields as opposed to metropolitan cities. Once a visit to Canggu is initiated, there are no takebacks. Home to some splendid sights including the ocean waves, black sand beaches, and marvellous sunsets, Canggu is definitely one for the books. It is now teeming with holiday villas and beachfront resorts or boutique hotels that not only provide modern comforts in a more traditional and old-world setting but also make you feel right at home in a foreign land. Canggu has a lot to offer but some of the things are more crucial and exciting than others and below are a few that will surely fulfil all desires when it comes to truly knowing Canggu as a beach town with its culturally-rich heritage and easygoing atmosphere. When in the mood for some one-oh-one with nature, the rice fields of Canggu are more spectacular than anything else. They are easily the most authentic, serene, and well-maintained thanks to having fewer tourists and commercial interests. Bike along the slightly terraced and mostly sloping fields of luscious green while the skies stretch far and wide above. The beautiful sight is inspiring to say the least and many expats flock to these generous expanses to unwind and gather their bearings. Bali is known for its paddy and what better way to learn of the ways in which the locals make their living than first-hand experience. Another reason why Canggu is so popular among foreign travellers is owing to its surf breaks on Batu Bolong beach. Equally adventurous for beginners and pro-surfers, the waves are famed across the country for being powerful and promise an enjoyable time. The beach is family-friendly and sees a lot of footfall from locals, expats, and travellers here for a short visit. As one of the most famous beaches, Batu Bolong beach with its white sandy shores and panoramic views has several options for food and beverage along with many recreational activities. Echo beach is another good spot for surfing, seafood restaurants, and sunset views. Canggu is slowly becoming a hotspot for many private villa owners who have touched base in these beautiful surroundings and made a home for themselves and their families. There are plenty of beachfront villas near Echo beach and Pererenan village that are close to major haunts and still maintain the peace that is well-desired. 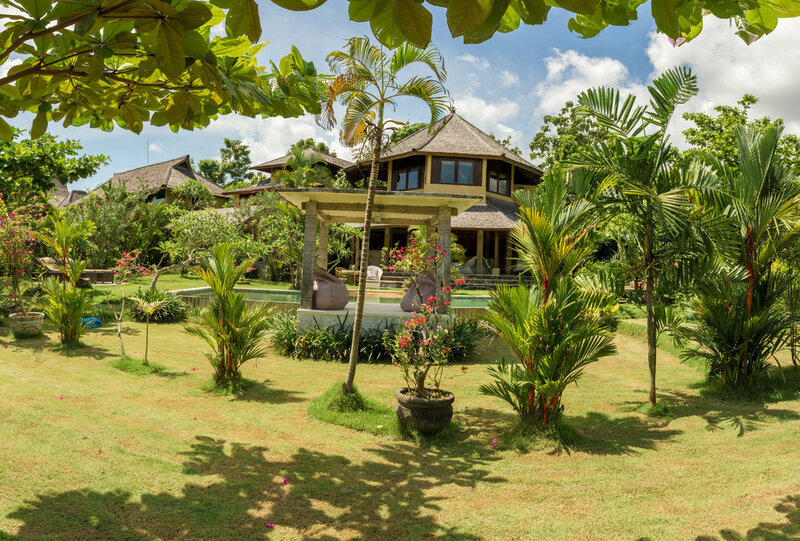 Booking a villa in Canggu is as easy as it comes because all you need to do is set your preferences and you have something suitable to choose from. Travelling with families, friends, for a private event, or a corporate retreat; Canggu has something for everyone with fully-staffed villas fitted with modern amenities all under a traditional, alang-alang ceiling and a thatched-roof. 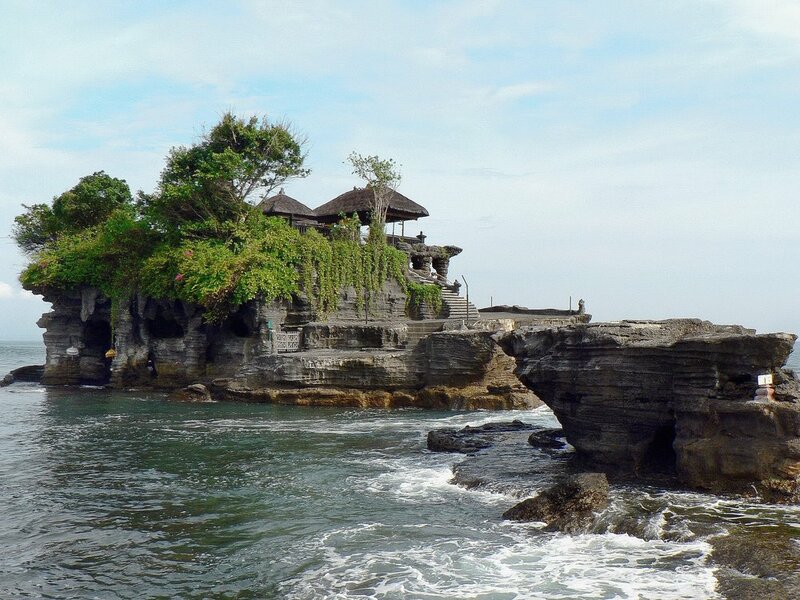 Set atop the spectacular Tanah Lot rock formation, Pura Tanah Lot is a stunning relic of Balinese religion and culture. A famous spot for travellers, the entire panorama makes for a mesmerising display of natural wonder. The outcrop contrasts with the crashing waves below and the endless turquoise waters of the ocean against the horizon. The sunset is exceptional from where the temple sits and the verdant greenery brings it all together wonderfully. The temple is a shrine to the sea god, Baruna and has an engaging legend to its name ‘Tanah’. Although Canggu is culturally-driven, it is becoming popular for its hip cafes, seafood restaurants, and beach clubs. The nightlife in Canggu is on the rise to becoming at par with towns like Seminyak. With good music and a chill vibe amidst the verdure of Canggu’s landscape is conducive to more than one memorable experience. There are many beach clubs to check out including Finns Beach Club, La Brisa, The Lawn, and COMO; each serving heavenly wines, expert concoctions, and good food. Some of the restaurants that are a favourite amongst travellers include Deus Ex Machina, The Shady Shack, Old Man’s, and The Beach House. Desert Blue Connect will be holding a Braving Breast Cancer: Breast Awareness Event on Friday 26th October 2018 to raise awareness of breast cancer and fundraise for So Brave, a charity that supports young breast cancer survivors. Belynda Mills, local Mullewa mother of two and breast cancer survivor is the special guest speaker, who will talk on her breast cancer journey and her recent ambassador work for So Brave. Sharon, the Women’s Health Nurse at Desert Blue Connect will also explain to women how to do a self-breast examination. The women’s health evening will have fun interactive activities, refreshments and raffles. Belynda is passionate about raising awareness of breast cancer in young women and is an ambassador and supporter of So Brave. 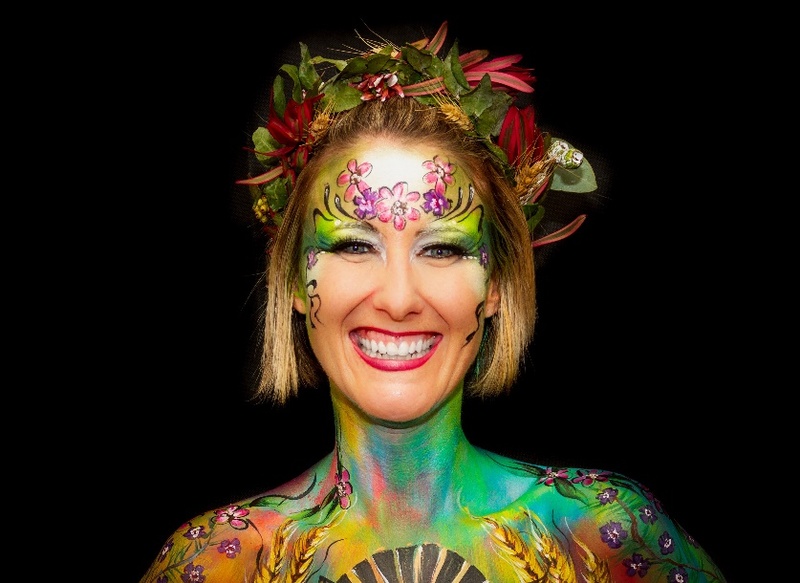 She features in the 2019 So Brave calendar which is a visual representation of the metamorphosis that each survivor has undergone, both through her experience with her breast cancer diagnosis and through the uplifting transformation of a full body paint and photoshoot session. The calendar raises awareness and money to fight breast cancer and will be available on the night for $33. “Breast cancer is the most commonly diagnosed cancer in women aged 20-39 and young women tend to have poorer survival outcomes compared to older women. Breast cancer does not discriminate and it’s just so important that all women regularly check their breasts, regardless of age. Finding breast cancer early provides the best chance to surviving the disease,” she continued. The Braving Breast Cancer: Breast Awareness Event will be held on Friday 26th October 2018, 6pm to 9pm at the Desert Blue Connect Studio, 28 Durlacher Street, Geraldton.